Large format tiles offer an incredible commercial and residential opportunity as they are extremely thin and hence can be laid directly over existing tile floors -- no demo, no dirt, no mess. Ranging up to 10 feet long and 4 feet wide - the options are endless. 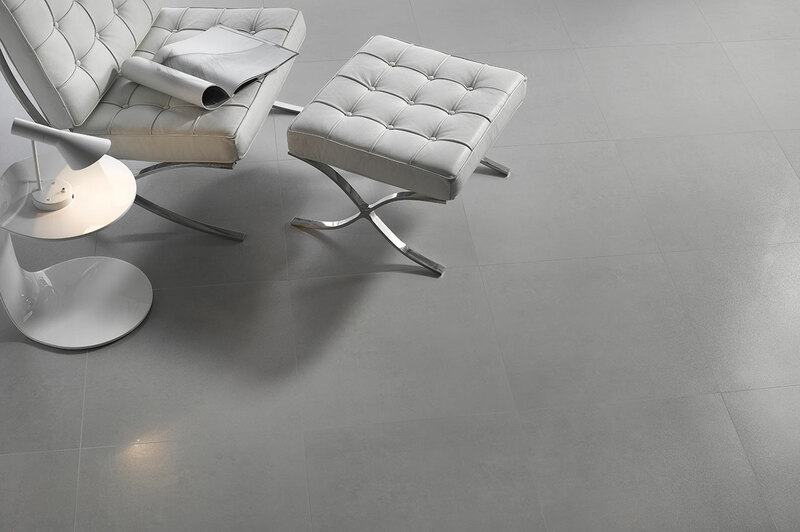 And with the reduction in grout lines, they offer a crisp modern aesthetic appeal. There is no other material on Earth like it. Formed from millions of years of geologic forces, natural stone is quarried from different parts of the globe to make its way into our everyday lives in the form of counter tops, floor tiles and many other building materials. By following some basic care instructions, you should be able to keep you natural stone looking as beautiful as the day you installed it. The tile care instructions differ slightly, depending on whether the tile is installed inside or outside. 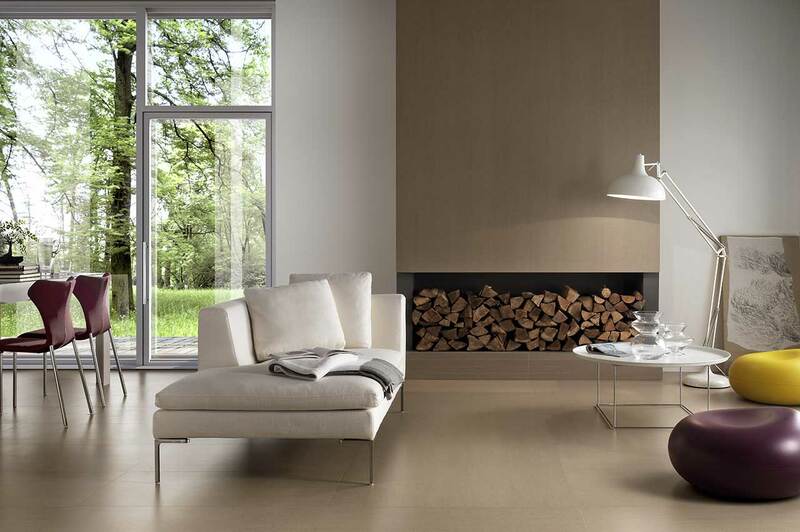 Over the past few years, large format porcelain tile has become increasingly popular. 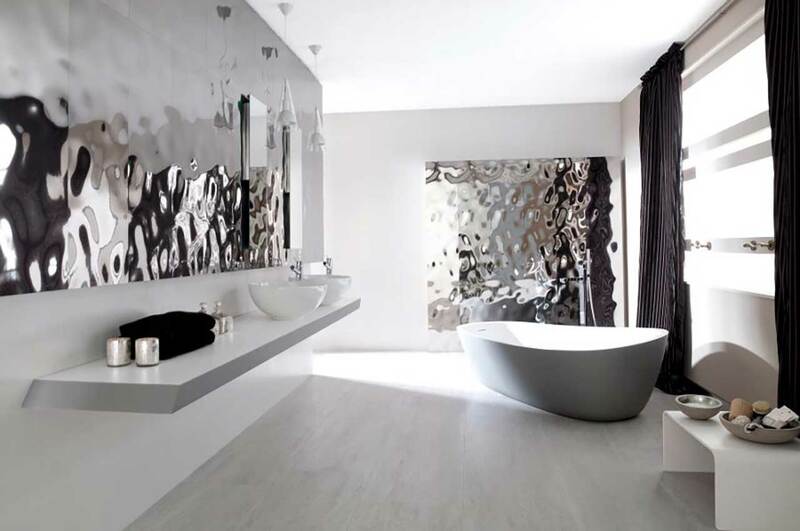 By large format tile, I am referring to tile that is larger than 30″ in either width or length. In fact, tiles have gone as big as 8 feet x 4 feet (length x width) and as thin as 2mm. 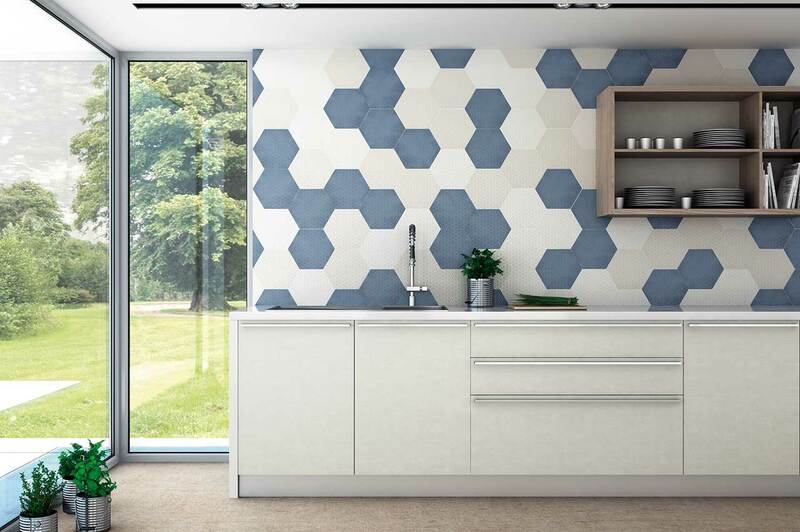 These tiles offer a beautiful contemporary and modern feeling and can actually be used on walls instead of wallpaper! Given the fact that 15 years ago nearly all tiles were basically 12″x12″ in size, the question has to be asked – why the dramatic change? The larger format tiles are still more expensive than their smaller counter-parts but this is changing as they become more popular. 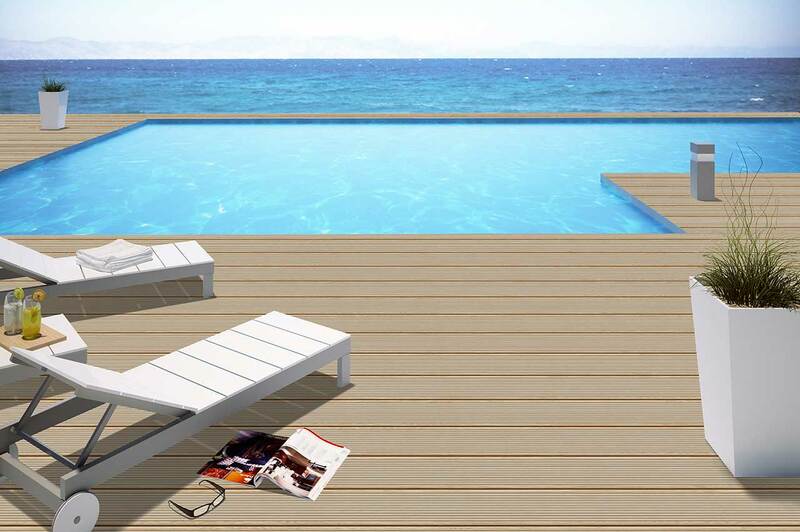 Once the large format tiles are laid and set – they are as tough as any other porcelain tile and should be scratch, water and stain resistant. However prior to being laid, they are extremely fragile and need to be handled like glass. They should only be transported strapped to a pallet and should be carried and moved very carefully. At San Diego Marble & Tile, we will be able to provide good instruction on handling and we will carefully secure the tiles prior to transportation. Due to the size of these tiles and the lack of grout joints to compensate for an uneven level floor, you need to ensure that the intended floor is level. If not , you will potentially have bowing of the tiles or sharp edges showing. A good contractor will be able to prepare the floor by floating the floor with deck mud or using products like hardi-board to level the floor so that the tile can be easily laid. This is not difficult to do but it will require extra labor and hence extra cost. The choice to go with a large format tile is really one of style and preference. There is still no real price advantage over the smaller tiles but the trend towards these large tiles is definitely growing and I expect the cost to come down dramatically over the coming years. We work closely with your contractor and/or designer to ensure your project stays on schedule & your design concept becomes a reality for you to enjoy for many years. 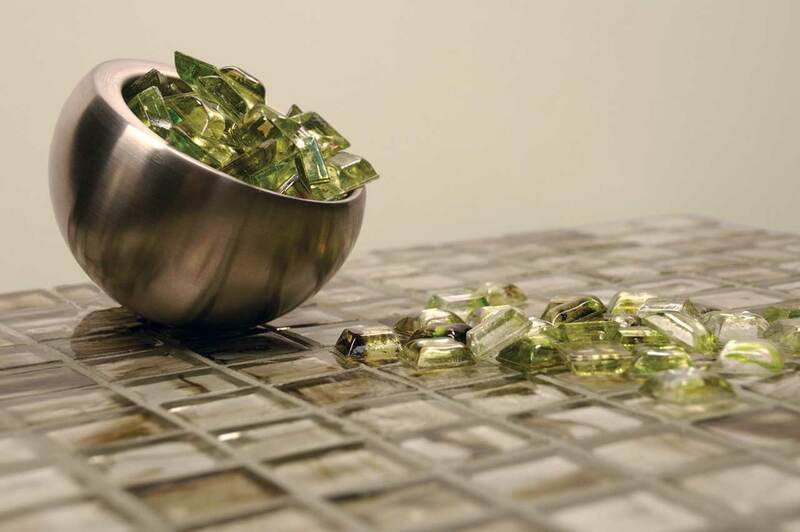 With the help of our highly experienced sales or in-house tile design staff, we can help you select the right tile, mosaic, natural stone, deco, accent or anything in between.